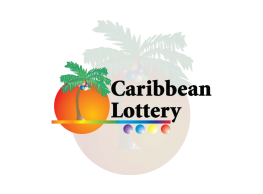 St. Kitts and Nevis – Tuesday, May 9, 2017: Playing lottery games is a regular part of Gloria Jarvis’ routine and her persistence paid off when she found out she was a winner. 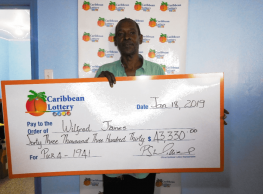 Jarvis won $8400 in Instant Ticket Grocery Money from a ticket purchased on Wednesday, May 3. 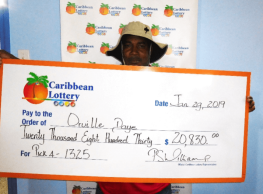 After claiming her prize from Caribbean Lottery, the 45-year-old said she felt “excited” about her winning. Jarvis, a professed lover of Lucky Pick, Instant Ticket Grocery Money and Pick 4 games, who has been playing these games daily for more than three years. 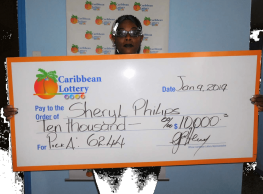 While attending the offices of Caribbean Lottery to claim her winning prize, Jarvis stated she already has plans for her cash prize. “It will be used to pay some bills,” she said. 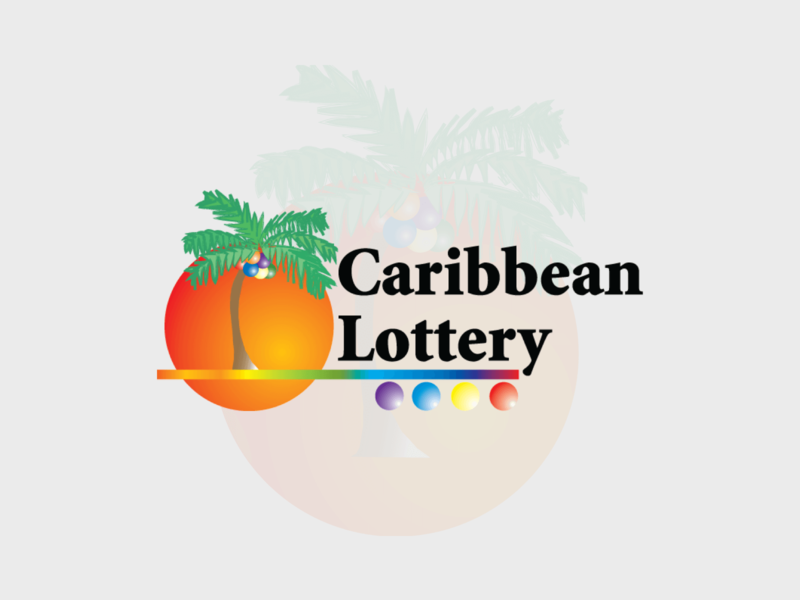 Jarvis who does not always play the same numbers says she will remain loyal to playing Caribbean Lottery games. She intends to continue playing the games every day. For her win, she played the numbers 7 and 14. Jarvis, has confessed that she was just testing her luck when she played the Instant Ticket Grocery Money, and had advice for other players. “Test your luck, too!” said the Madden Village resident. Instant Ticket Grocery Money is played daily and still has lots of prizes to be won.